Adapted from the cult novel by Joe Hill (son of Stephen King) and directed by Alexandre Aja, Horns can’t keep itself on an even tonal keel for more than a few minutes. Part policier, part doomed romance and part gothic nightmare, I suppose it might even have created its own nano-genre. After a night of particularly heavy drinking, Ig awakens to discover two horns protruding from his temples. This monstrous development throws Ig off course at first, as these peculiar appendages unwillingly expose him to the unspoken thoughts of others – from his doctor’s drug addiction to his parents’ hatred of him. However, as time unfolds Ig sees his newfound powers – including his ability to manipulate and persuade – for what they really are: a way of wreaking devilish revenge on Merrin’s real killer and clearing his name once and for all. Radcliffe, distancing himself further from the innocent charm of the Harry Potter franchise, proves to be Horns’ beating heart. He delivers a performance that’s wickedly playful, yet unfortunately limited by Aja’s need to cover a myriad of styles. From horror to comedy, romance to religious allegory, 120 minutes just isn’t quite enough time, yet Aja’s laboured direction makes it feel like an eternity. There’s certainly a lot of pleasure to be harvested from Horns’ mischievous disregard for form, yet this mishmash of tones impedes the overall enjoyment. Flashbacks to Ig’s past with Merrin from various perspective culminates in a long, drawn-out affair that ultimately detracts from the film’s brief moments of ingenuity – especially Ig’s coming to terms with his supernatural powers, or the film’s blistering finale. Horns bows out in style and the film’s climax is all-out madness, with Aja and Radcliffe throwing everything they have at it. 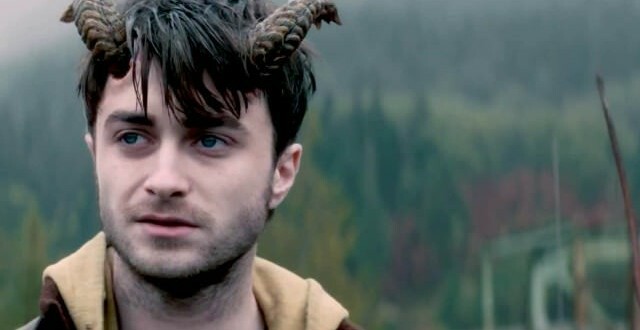 If only the whole of Horns was as consistent as this final act, then Aja would have successfully created a delightfully bizarre blend of horror and fantasy. Sadly the film’s mélange of ingredients never quite come together, and whilst Aja constantly attempts to root Hill’s novel in the present, Keith Bunin’s screenplay is too anomalous to hold our attention. There’s a neat old-fashioned, darkened quality to the film, and even the CGI of Ig’s horns is decently handled. Yet, sadly Horns, whilst undeniably witty all too often trails in Radcliffe’s shadows.